BEDROOMS - 3: Bed 1 - Queen: Bed 2 - Double: Bed 3 - 2 x Single:. LIVING ROOMS - 1: BATHROOMS - 2: BEACH - 2 - 5 min walk (approx): SHOPS - 2-5 min walk (approx): BBQ & FACILITIES: HEATING: AIR CONDITIONER - Reverse Cycle: FANS: CAR PORT: DECKING. 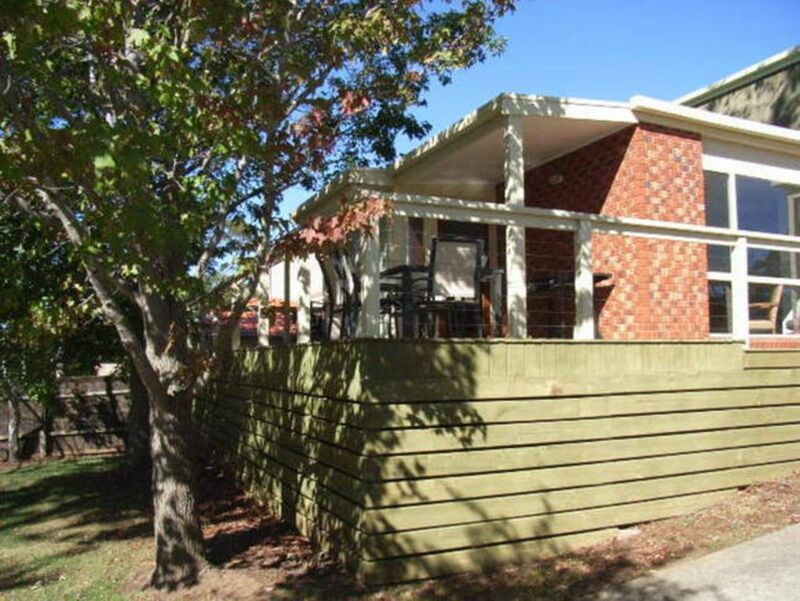 Spacious Apartment with large elevated outdoor deck/BBQ/Eating area. This Apartment is ideal for a relaxing holiday. Short stroll to the beautiful grassy front beach and pier; kids playgroung areas and to all town facilities. The main street is a 200 metre walk. easy access to all facilities. Very short walk to all of the shops, restaurants and bars. No car is required.